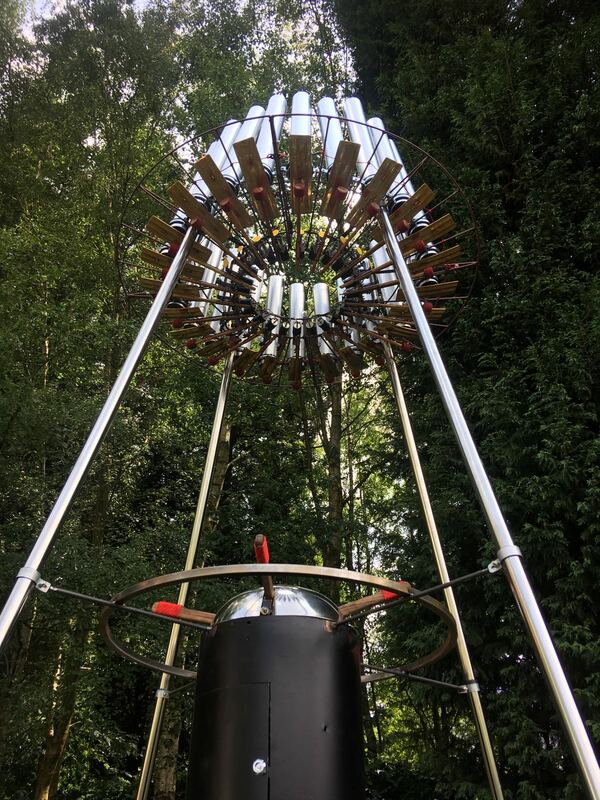 The Hive: A solenoid powered gamelan MIDI instrument. Everyone has a phone; build something special to play your tunes. This project was created on 10/08/2018 and last updated 6 months ago. A collaborative project to build a 24 note gamelan instrument that can operate as a live MIDI instrument and also play MIDI files to autonomously. MIDI files are stored on an SD card and are played when one of four switches is pressed. Further interactivity is planned including features to make the instrument operate more like a sequencer. More channels are available to allow more percussive instruments to be incorporated into the design. This is really cool! I&apos;d love to hear it in action. Is there a demo video? Thanks Mike! I&apos;m going to post a few making of and demo videos in the next few days. My project collaborators are in Indonesia at the moment working on a new version so I&apos;ll post some updates from them when I get them. The goal of our project is to design a musical interface which emphasizes common tonal relationships in Western music theory. You are about to report the project "Mechanical Gamelan", please tell us the reason.